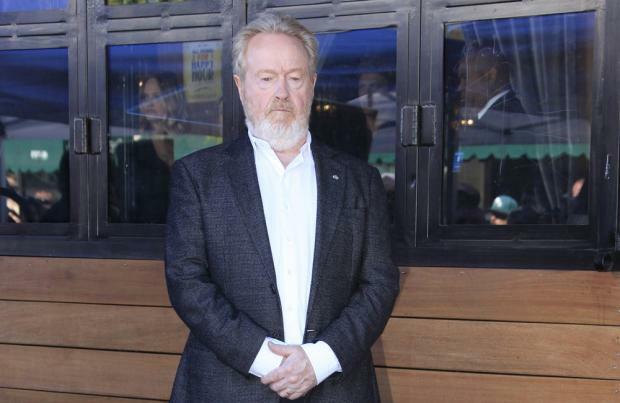 Sir Ridley Scott has claimed most of the script for 'Blade Runner 2049' was his. The Iconic British director helmed the original sci-fi movie in 1982, and when asked why he thinks the latest remake starring Ryan Gosling and Harrison Ford was a failure at the box office, the 80-year-old filmmaker was keen to point out that he believes he penned most of the lines. He also thinks it wasn't a success because it was "way too long". Scott told Vulture.com: "[Whispers] I have to be careful what I say. I have to be careful what I say. It was f**king way too long. F**k me! And most of that script's mine." When asked: "Really? ", he replied: "Yes!" Scott says he doesn't want to dedicate his time to proving the copyright belongs to him. "I sit with writers for an inordinate amount of time and I will not take credit, because it means I've got to sit there with a tape recorder while we talk. I can't do that to a good writer. "But I have to, because to prove I'm part of the actual process, I have to then have an endless amount [of proof], and I can't be bothered." It comes after 'Blade Runner 2049' director Denis Villeneuve said he had to ask Scott to leave the film set - because he couldn't work under the pressure of being watched by his hero. The 'Arrival' director and Scott did work closely on the script of the sequel, but Villeneuve helmed it alone. Villeneuve said previously: "He came on set one day and after a few minutes standing behind me it was unbearable. "And he burst out laughing and he walked off the set. "Because I was trying to direct Harrison Ford and I was like, 'No, it doesn't work.'"